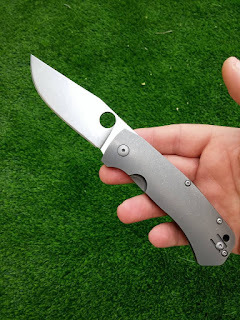 Best Chinese Knives: Martin Slysz Bowie Clone Review - Awesome EDC knife, best Sebenza alternative! Martin Slysz Bowie Clone Review - Awesome EDC knife, best Sebenza alternative! I received this knife a couple of days ago. Overall I was pleasantly surprised by this one - I thought it to be more of a tactical blade, but it is actually more of a perfect EDC blade. It reminded me a lot of a CRK Sebenza 21 in the overall feel - same smoothness out of the box, similar lock, rounded spine and gimping. There is no bladeplay, lockup is tight in every direction. Out of the box there was a small amount of lock stick - but it is gone now (after disassembly), blade centering is perfect. Fit and finish are excellent, great looking stone-wash on the blade and the handle, that will hide scratches and snail trails from EDC carry. I very much liked the bead blast on the hardware and the pocket clip and I wish more knives will be made with those. Came sharp out of the box and pretty thin behind the edge - 0.48 - 0.7 mm on the tip. After disassembly, cleaning, polishing the washers and applying lube - it became even smoother and now can be flicked out with one hand. 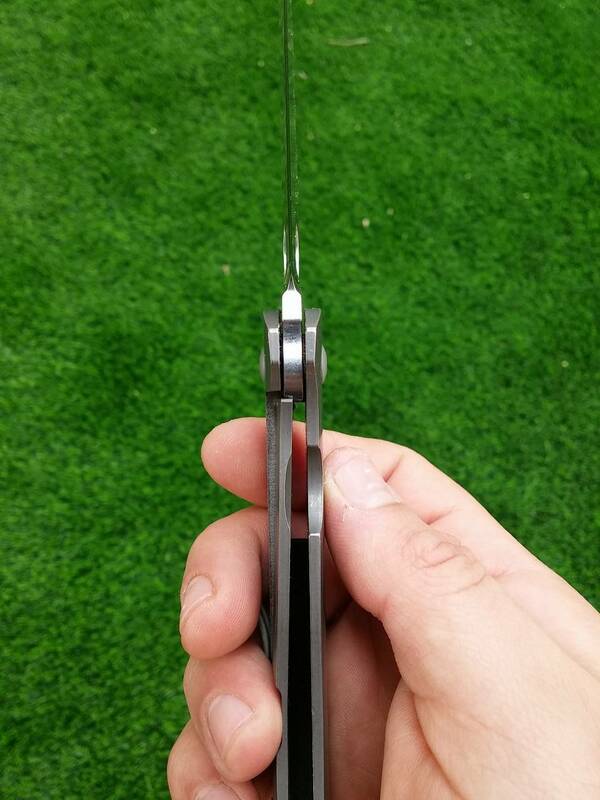 Verdict - one of the best knives for EDC use, a real Sebenza killer!